Mark your diaries… Sunday 15th June is Father’s Day 2014, the day to celebrate the paternal figure in your life, be he your dad, your granddad, your uncle or your godfather. With just over two weeks to go it’s approaching at light speed – it’s time to start brainstorming that gift! It can be a little harder to know what to gift your favourite guy than, for example, your mum, and if you’re anything like me you’re probably completely stumped. But if you’re thinking of splashing out on a little something, never fear – we have a few ideas to get your creative juices flowing. He does it every day and it’s a big part of his morning grooming, so why not make his shaving routine… well, less of a routine? Shaving can be stripping and really irritating for the skin, as it takes away protective natural oils that then take a few hours to be restored. Transform the daily drugery into a more enjoyable ritual with great scents, comfortable textures and, most importantly, proper protection. 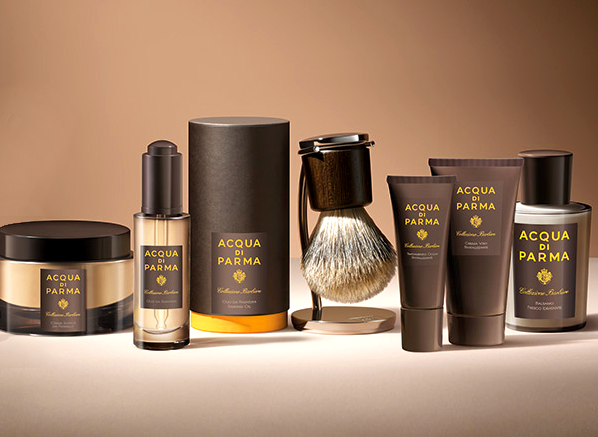 Acqua di Parma Collezione Barbiere Shaving Cream: It’s almost impossible to pick just one product out of the ultra luxurious Collezione Barbiere shaving range, but at a push, it’d have to be this plush pot of Shaving Cream. Packed with intensely hydrating hyaluronic acid and eudermic oils, it glides over the skin with or without a brush and will help him to enjoy a close and comfortable shave. Crabtree & Evelyn Indian Sandalwood After Shave Balm: This classic range from Crabtree & Evelyn has recently undergone a revamp, with new packaging and a slightly updated scent (the signature sandalwood is now sourced from Mysore in India). You can’t go wrong with anything in the range, but our top pick is the alcohol-free After Shave Balm, which delivers intense yet lightweight moisture with a great spicy fragrance. Also known as the lightweight, the miniaturised and the ultra-portable, travel-friendly toiletries can make a seriously good gift. Your dad doesn’t have to travel a lot (or at all, in fact) to enjoy their handiness – they’re great for the gym, desk drawer and even his pockets. These smaller gifts are also a great entry point when discovering a brand as they won’t break the bank. Gucci Made to Measure Pour Homme Eau de Toilette Travel Spray: A travel spray for men is quite a rarity, but Gucci offer three of their biggest male fragrances in this sleek, slimline format (see them here). Our favourite, though, is Made to Measure: a suave and ageless blend of lavender, nutmeg and leather. Nuxe Men Survival Kit: If he’d like to dip his toe into the world of skincare, then there’s no better place to start than this set of travel-sized essentials from Nuxe. The set keeps things really simple with a Shaving Gel, a Shower Gel and a moisturising Multi-Purpose Gel. Best of all, each product is at least 79% natural. 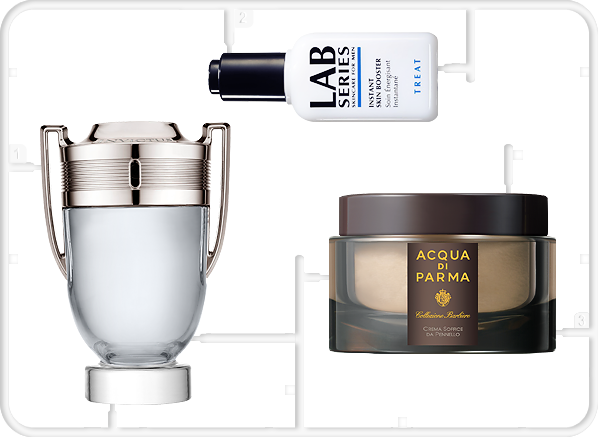 The spend on men’s grooming products is on the rise, so it makes sense that the technological advancement of male skincare is gaining serious momentum, too. There’s a gold mine of products available that seek to address ageing, fatigue and dullness concerns, with packaging and ingredients that wouldn’t be too out of place in a sci fi film. It’s time to get high tech. 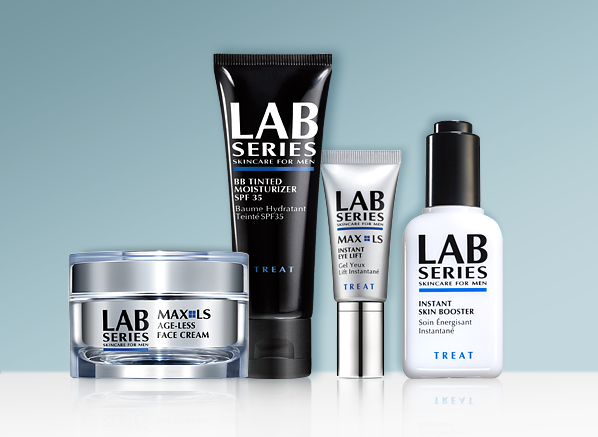 Lab Series Instant Skin Booster: There were plenty of interesting, effective and innovative products to choose from from this pioneering male skincare brand (Instant Eye Lift, BB Tinted Moisturiser and the Age-Less Face Cream to name a few), but we went with one the guys in the office swear by. A few drops of this the morning after the night before, and you look like you again. Zirh Alpha Hydroxy Face Wash: This turbo powered face wash has been a quiet bestseller for years now. Why? The answer lies in its cocktail of AHAs (gentle chemical exfoliants), salicylic acid and menthol, which gives skin that’s prone to oiliness an immediate sense of freshness. Use it as you would a regular face wash and immediately feel the difference. So, he’s got his favourite fragrance. He’s comfortable and he’s definitely not budging. Never fear, though: if your dad’s a die hard fan of a particular eau you still have plenty of gifting options. Most fragrances have a range of complementary products as part of its offering, giving the option to wear the same scent in a range of formats including shower gel, after shave balm and deodorant. If you’d like to know more about fragrance ancillaries, head here for a bit of light reading. Issey Miyake L’Eau d’Issey Pour Homme Shower Gel: This lightweight and fresh formula is a great way to wear fragrance, whether you pair it with the classic L’Eau d’Issey Eau de Toilette or not. It’s not just a fancy scented shower gel – it’s also the perfect base for layering your fragrance, ensuring that it reaches its full potential and lasts longer. L’Eau d’Issey is a fragrance classic – cool, clean and minimalist, and suitable for men of all ages. Hugo Boss Boss Bottled Deodorant Spray: Fragranced deodorant sprays are a great gift option for guys of all ages. Younger guys love them because they’re an easy (and very portable) way to wear scent, while others like to match their deodorant to the eau de toilette to avoid clashing aromas. The Hugo Boss Boss Bottled fragrance has been popular for over 15 years, and has amassed a fair few fans in its time. Chances are, your dad has already worn it and loved it. It probably hasn’t escaped your notice that we’re all set for a big summer of sport. Wimbledon, the World Cup, the Commonwealth Games, and the US and British Opens are all kicking off in the next month or two, so if your dad’s a fan of sport, he’s already in for plenty of treats. If you’re not keen on telling him that this timetable of events is in fact his Father’s Day present this year (nice try though, if you do), you may want to supplement his excitement with a fresh and energetic gift inspired by the beautiful game(s). 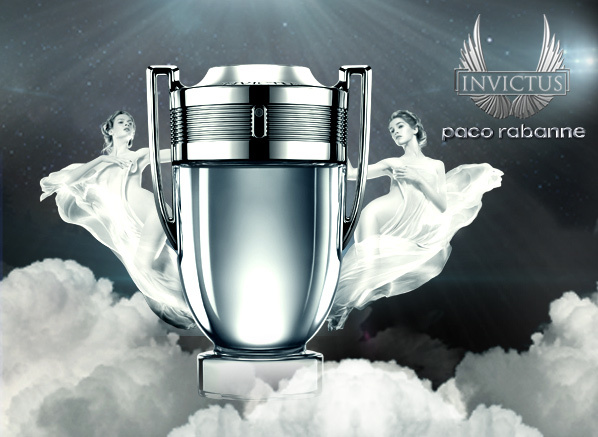 Paco Rabanne Invictus: The biggest male fragrance of last year after its brother scent 1 Million, Invictus is the quintessence of triumph. Aside from the obvious sports connotations to be found in its trophy-shaped bottle and its spokesperson, rugby player Nick Youngquest, Invictus also presents the perfect sports aroma. It’s powerful without being overbearing, with fresh and sensuous notes including salty ambergris, which recalls warm skin. There’s a reason why it was the biggest launch of 2013. Paul Smith Extreme Sport: Like all Paul Smith fragrances, this brand new launch is very closely tied to the man himself. Extreme Sport takes the original inspiration of Extreme and introduces Paul’s energy and love of cycling through the use of cool and invigorating notes. It’s an intriguing fragrance with notes including mint, lavender, pepper and tonka bean, which give the scent an almost Le Male-esque freshness. This entry was posted on Thursday, May 29th, 2014 at 10:48 am and is filed under Gifts, Men. You can follow any responses to this entry through the RSS 2.0 feed. You can skip to the end and leave a response. Pinging is currently not allowed.